In 2013 when Munich won the Champions League title, Arjen Robben and Franck Ribéry were largely the reason. During that season they were two of the most devastating attacking wingers in world football and shared the same locker room. Ribéry won the UEFA Best Player In Europe award in 2013 and finished third in that year’s Balon d’Or voting behind Cristiano Ronaldo and Lionel Messi, the two best players in the world. Last season Bayern were undone in the Champions League due to their injury problems. It was no coincidence they crashed out in the semi-final matchup vs. Barcelona as both Robben and Ribéry were unable to feature due to injury. Bayern are arguably one of the best three clubs in the world and so it met with some skepticism when they signed Costa from the Ukraine. Costa joined Shaktar from Brazilian side Grêmio for €6 million in 2010. During his time at Shaktar he made 202 appearances while contributing 38 goals and 40 assists. New players typically go through an adjustment period in a new league with a new team, but that has yet to happen with Costa in Germany. In Bayern’s first match of the 2015-16 Bundesliga campaign they played HSV and won by a scoreline of 5-0. This match perfectly encapsulated Costa’s value to the Munich machine. He was able to switch flawlessly from the left and right wings and terrorized defenders while contributing a goal and assist. In his first Bundesliga match for Munich he received a rating of 9.5 and was named Man of the Match. People might dismiss his performance by saying HSV are a solid candidate to be relegated from the Bundesliga, but Costa has not stopped and proved no matter what team he faces he will attack at will. During the first international break of the season, Robben picked up a thigh injury playing for the Netherlands and was ruled out at least four weeks. Seeing as how the wheels fell off Bayern’s season last year due to injuries to their stars, this was bad news to begin the new campaign. However, Costa has revolutionized Bayern’s attack in their matches and it no coincidence they have won their past 10 in a row while scoring 34 and allowing only four for a +30 goal differential. Robert Lewandowski and Thomas Müller are the two most in-form strikers in the world at the moment, with Lewandowski scoring 16 goals in all competitions so far, and Müller adding eight. 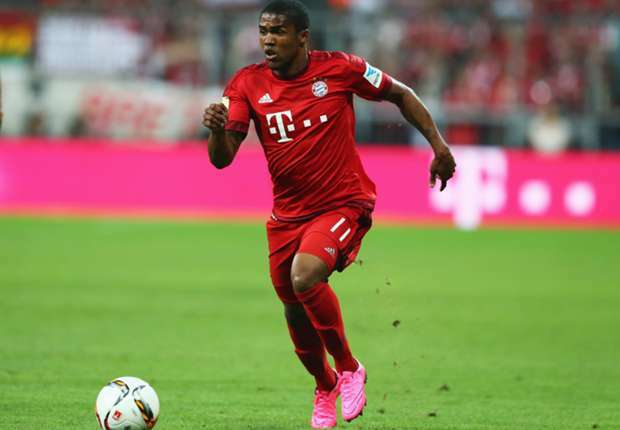 After Munich’s 3-0 victory against Mainz on Sept. 26, Müller praised Costa’s ability. “Douglas is tailor-made for Lewy and me,” he said to German magazine, kicker. Watching Costa it is funny to think he might struggle to fit into the Bavarian giants. If anything his impact on the pitch has helped assert their offensive dominance. Watching the Brazilian he has zero fear and lives to put opposing defenders on their heels. With his potent combination of pace and a low center of gravity he dribbles at defenders and leaves them in the dust with his incredible step-overs and change of pace. When opposing players try to defend Costa he makes them appear as their boots are filled with cement. The crafty Brazilian was criticized by Robben earlier in this season as he attempted a fancy Lambreta maneuver as his team were up 3-0 in the 81st minute against Bayer Leverkusen. The 25-year-old is confident and full of ability and the reason why Bayern’s attack has been so potent. With his exceptional change of pace and commitment to his team the Munich offense has been ripping opponents to shreds in both the Bundesliga and Champions League. In Bayern’s first two Champions League matches they have faced Olympiakos and Dinano Zagreb. In Match Day One they beat the Greek side comfortably, 3-0, while Arsenal lost to Zagreb, 2-1. In Match Day Two, Bayern tore the Croatian side apart, winning 5-0. Costa added his first goal in the Champions League as he used his speed to beat his defender and quickly fired off a shot from the left side of the pitch. Costa continues to answer the critics who thought he wasn’t good enough for Bayern. In all competitions so far this year the winger has contributed an outrageous 11 assists as well as two goals. As you can tell from the annual Bayern Oktoberfest visit, Costa doesn’t need to change at all for Bayern. They have adapted perfectly to fit him. This entry was posted in Bundesliga and tagged Arjen Robben, Bayern Munich, Brazil, Bundesliga, Douglas Costa, Franck Ribery, Robert Lewandowski, shaktar donetsk, thomas muller. Bookmark the permalink.